Podcast: A Trade War Between US and China? 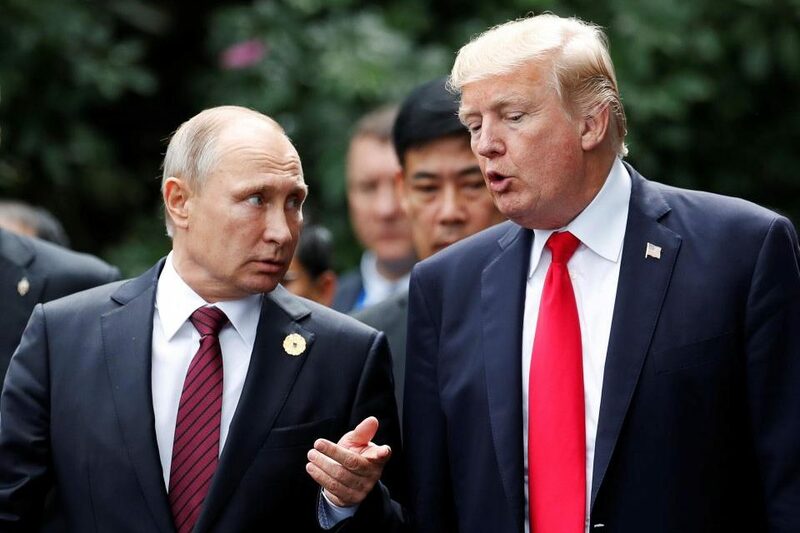 Donald Trump, in a phone call congratulating Vladimir Putin on his re-election in a widely-criticized ballot, also invited the Russian leader to the White House. Trump stoked controversy in the March 20 call when — with a briefing note from advisors saying “DO NOT CONGRATULATE” — he immediately took the opposite course. The call was overtaken six days later by the US expulsion of 60 Russian diplomats and intelligence officers, coordinating the action with 24 other countries over suspicion of Moscow’s involvement in the nerve agent attack on a former spy and his daughter in southern England in early March. Although Trump signed off on the order, he made no statement about the attack with the Novichok-class agent, developed in the Soviet Union from the late 1970s. The Kremlin has put out a series of diversionary claims, disinformation, and conspiracy theories to try and deflect attention; however, it has been unsuccessful so far in checking the investigation and diplomatic response. So on Monday it highlighted the possibility of a Trump-Putin encounter. On the day of the call, Trump mentioned to reporters that he expected to “be seeing President Putin in the not-too-distant future”. The White House confirmed on Monday that it was among “a number of potential venues” discussed. Trump — still railing about immigration and threatening to deport almost 800,000 “Dreamers” and end the North American Free Trade Area — said nothing on Monday. Putin has not been to the White House since 2005, when he was hosted by George W. Bush. His last visit to the US was in 2007 when Bush and his father, former President George H.W. Bush, hosted him at their family compound in Kennebunkport, Maine. Meanwhile, Russian State outlets pointedly excluded Trump from their criticisms as they continued to put out diversionary claims about the nerve agent attack in Salisbury, England. Former spy Sergey Skripal is still in critical condition, while his daughter Yulia is improving. Scores of other people were exposed to the Novichok agent, five to eight times more powerful than VX. 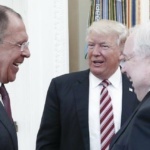 The Russian coverage said US interest groups, opposed to Trump’s desire for rapprochement with Russia, had staged the poisoning as a “provocation”. Environmental Protection Agency Administrator Scott Pruitt bypasses the White House to give substantial pay raises to two young aides. The White House rejected the request in March for senior counsel Sarah Greenwalt, 30, and scheduling director Millan Hupp, 26, both of whom were among staff who had moved with Pruitt from Oklahoma, where he served as Attorney General. Pruitt had asked that Greenwalt’s salary be raised from $107,435 to $164,200 and Hupp’s from $86,460 to $114,590. So the EPA head used a provision of the Safe Drinking Water Act, which allows the EPA administrator to hire up to 30 people without White House or Congressional approval. The provision is normally used to hire specialists into custom-made roles in overworked offices. Greenwalt and Hupp were reappointed under the authority with the raises in late March. The EPA head previously used the Safe Water Act provison to appoint Nancy Beck, a long-time lobbyist for the chemical industry, as the deputy head of the Office of Chemical Safety and Pollution Prevention. Pruitt, who has used his position to gut environmental regulations, is now under scrutiny for his rental of a Capitol Hill apartment — partly owned by the wife of a top energy lobbyist — for just $50 per night, and for his use of taxpayer money to make regular first- and business-class flights. NextMonocle 24: A Trade War Between US and China?